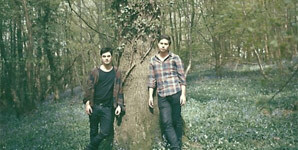 Gypsy & The Cat released their debut single Time To Wander in the UK on June 21st through Young And Lost Club. The single is featured on the latest compilation by French tastemakers Kitsune. The video was directed by Amarjeet Singh it was filmed on the unmistakable South Bank by the Tate Modern in London and stars Art Malik. Gypsy & The Cat is Australian duo 21-year-olds Xavier Bacash & Lionel Towers, the pair who originally hail from Melbourne packed up their lives and moved to London where they're putting finishing touches on their debut album which was recorded in their home studio in Melbourne. The band is mixing the album with David Fridmann who's known for his work with MGMT, Mercury Rev and Flaming Lips.